I’ve been kinda stuck at this in-between-stage of creativity. I know now that it is possible for me to be creative. I have a space dedicated to my work and I have a bit of an open schedule this week. 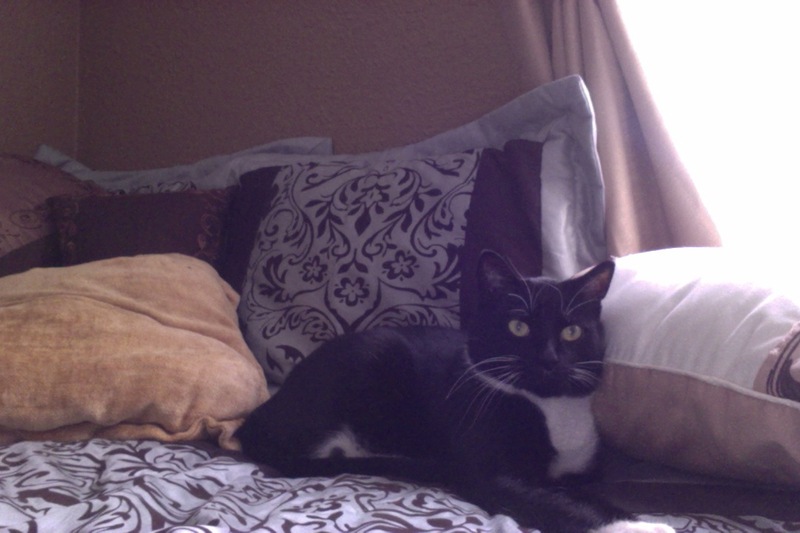 Neko, my business associate. working in the office. But I have this little problem. I try too hard. I try to do too much. I get disappointed easily. 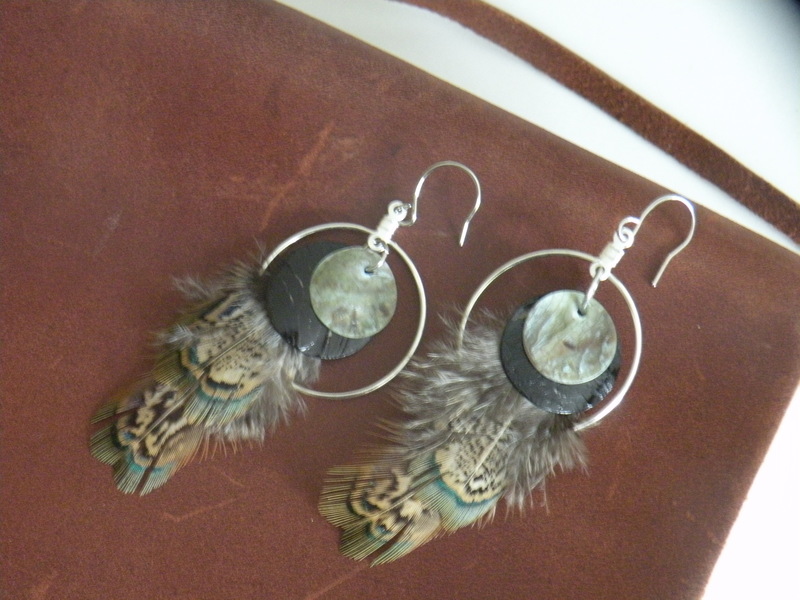 I wanted to work with some feathers today. I love the beauty that resides in a paradox of simplicity and complexity that can be found in nature. But, leave it to me to try to complicate things. 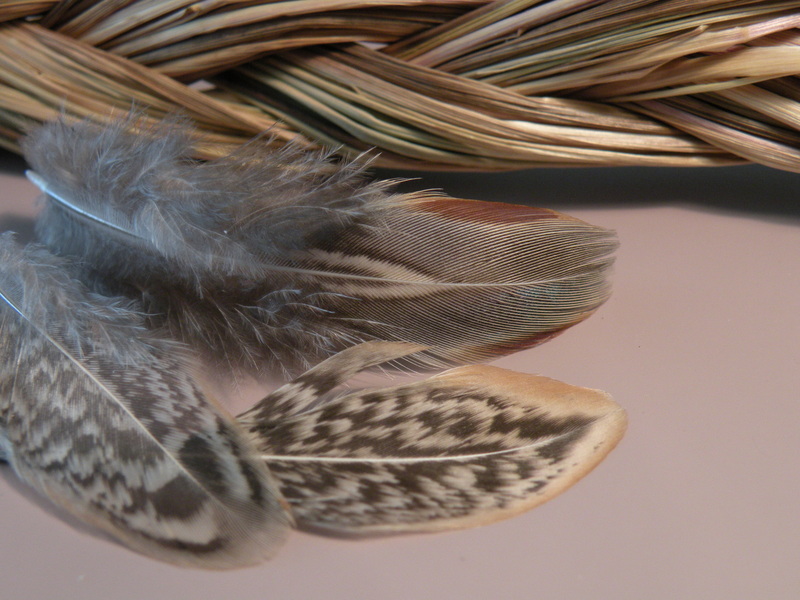 The pheasant feathers I sorted through today were fairly large. 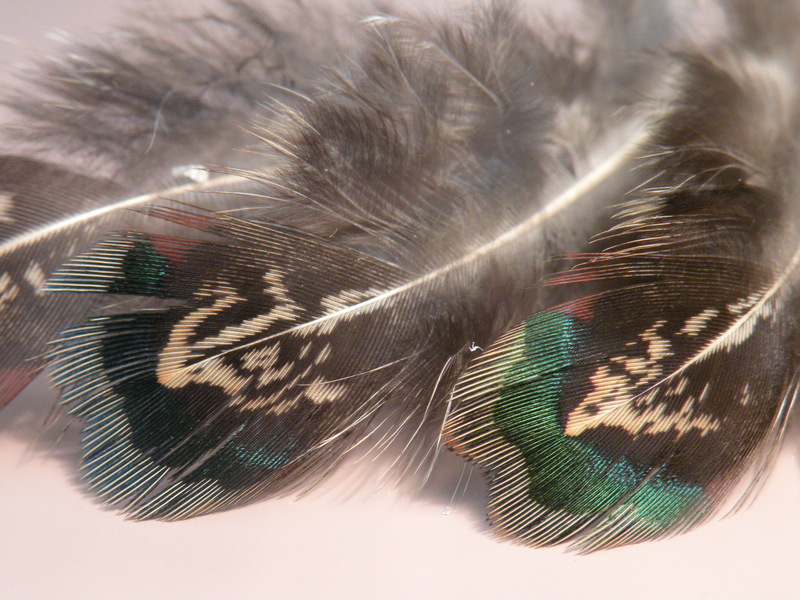 Many were too big for the jewelry that I’ve used feathers for in the past. Plus, I wanted to try new things. I sought out exploration over method. 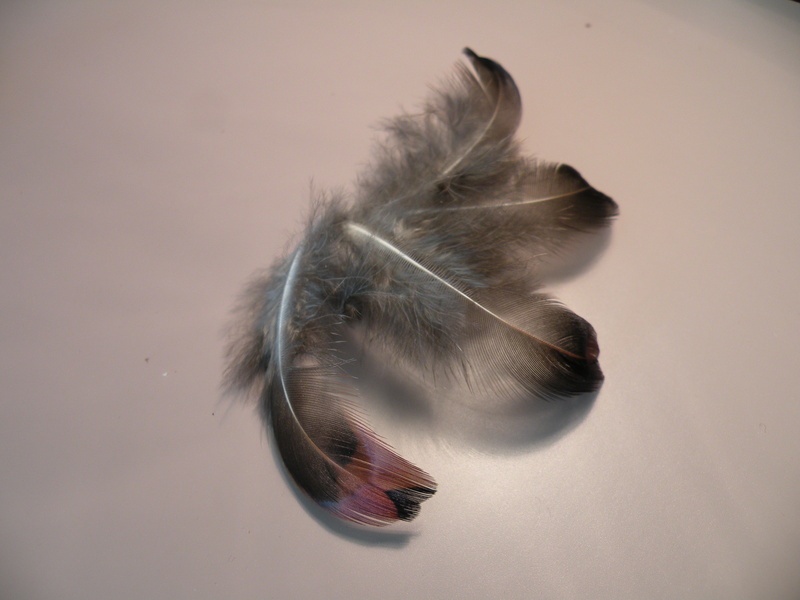 I tried using some spray adhesive to adhere feathers to paper. Yucky and smelly. I tried some ModgePodge instead. 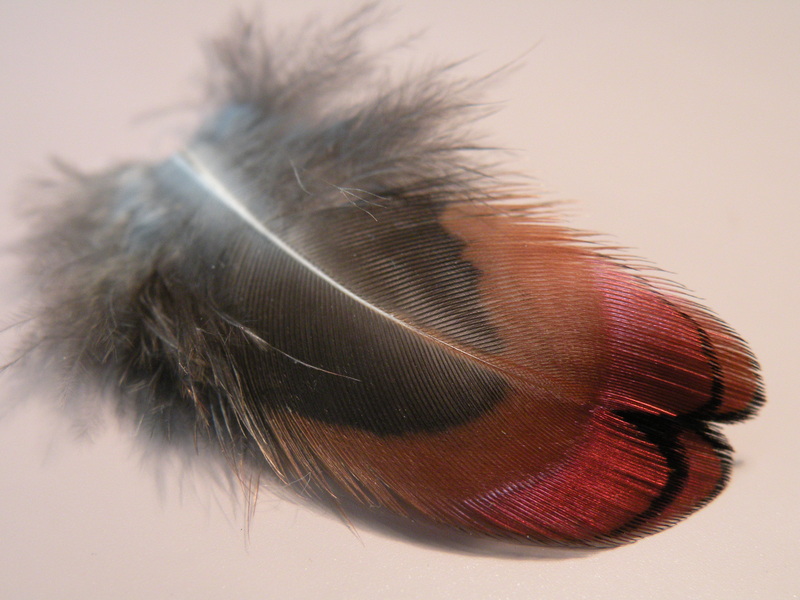 It took away from the shape of the feathers, those natural curves. I got myself completely frustrated. So much so that I was willing to walk away. I even thought about taking a nap. Then, I just started tidying up my work space. I sat for a long time, looking at the feathers and admiring their beauty. Then, it hit me. Why not take photographs? I gave myself a load of ridiculous excuses. Well, my inner critic, let me tell you. It’s about embracing simplicity. Recognizing the unique in the familiar. Highlighting beauty. Slowing down to see things that might be mundane. Revealing the beauty that is, in what it is. Remembering that art is not about what I think others might think. It’s my art and it’s about how I feel. It’s about who I am. 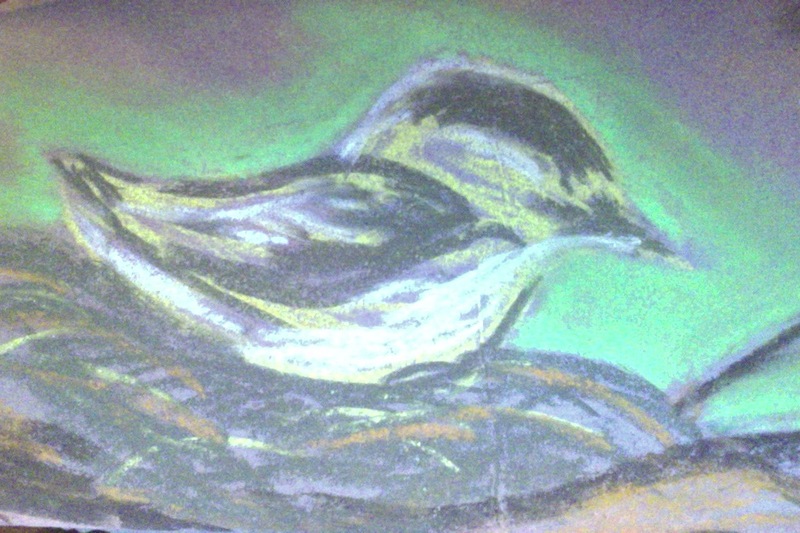 Posted in Appreciating the Moment, Nurturing Nature, Recovering the Artist Within and tagged art, beauty, breathing, creative, feathers, learning, nature, philosophy, photography, recovery. Bookmark the permalink.